Fallen Angel were a US Funk/Soul act consisting of Sophia Loren Bibbs and Charles Simmons. The duo released one album “Go For The Ride” and the single “Throw Down” in 1983. 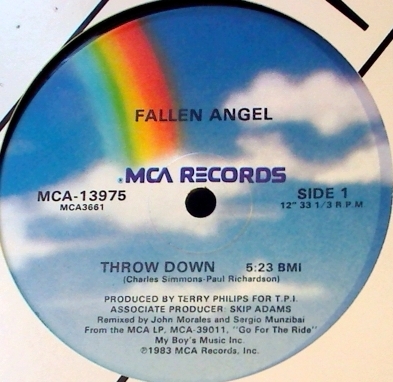 The Fallen Angel album was produced by Terry Philips who had a long and varied career as a singer, songwriter and producer working with acts such as Xavier and Larry Young, while John Morales & Sergio Munzibai would remix both “Throw Down and “Minnesota Strip”.